I’m a huge fan of movies. Not just for the pure entertainment of them, but for the amount of work that goes into making one and the artistic side of the production. I recently got the chance to work on a major motion picture, shooting aerials for a scene in the movie, and it was an extremely cool experience. During our prep day, the camera truck was rigged up with the Gyron and five other cameras for plate shots that were to be used for a scene in a motorhome. We tested out our drone and camera by shooting some shots of the truck driving around. It’s not a very exciting video, but at the very least you can check out the camera truck rig. I’ll post more about the movie once it’s released. 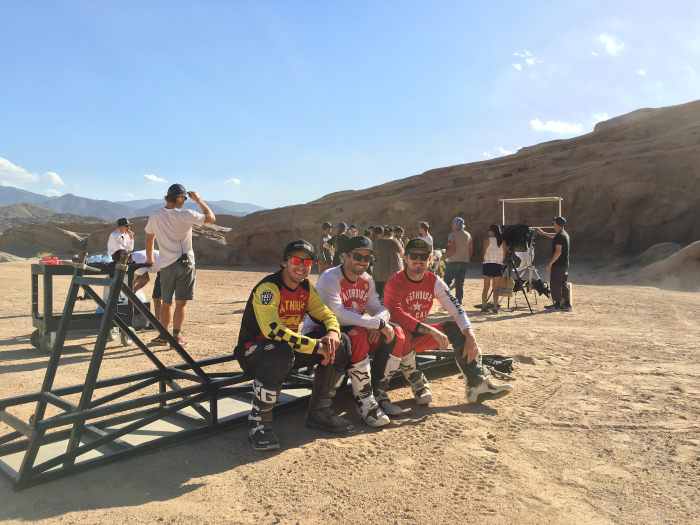 Travis Pastrana made a surprise appearance at the Michelin tire shoot. I’ve had a crazy past couple of months. In fact, it’s been so crazy that in the last two months I’ve only spent about 10 days at home. Between camera operating on drones and various motorcycle related events, you could say I have had a very full plate, but I’m not complaining one bit. The hectic schedule began with some one-day drone shoots for a couple television shows. The first show is titled Preacher, and is produced by Seth Rogan. The shoot was out in blisteringly hot El Centro, California, and it was a lot of fun. Not to be short about it, but all I can reveal is that the show will be very entertaining. From there, I jumped on a plane to Baton Rouge, Louisiana, for another TV show. This one will air on Sundance Channel and is titled Hap And Leonard. We filmed a really fun scene, but again, I can’t reveal much more than that. 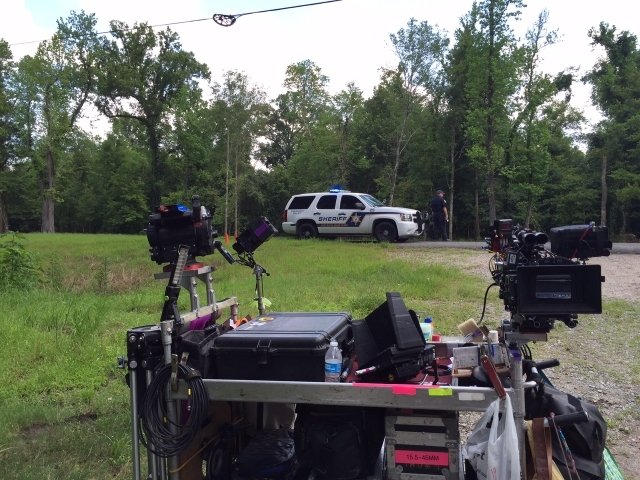 The camera cart for the DP on set at Hap And Leonard. We were on the 2nd Unit while 1st Unit shot at a separate location. After only a couple days home, I was back on a plane for a 2016 KTM intro in Indiana for a few days—check out Cycle World for the full write up. Upon returning home for a day, it was back on the road again, as myself and brother-in-law Justin Chapman were headed to the U.S. Open of Golf in Seattle, Washington, for two weeks with Fox Sports. The first week consisted of shooting every single hole on the Chambers Bay course, as the footage was to be used to show each hole during the live broadcast. The second week consisted of live broadcasting and flying just about non-stop. For our crew—myself, Justin, Eric Austin, and Seth Austin—it was really cool to be the first to use a drone for live broadcasting during a sporting event. We all went through a lot to get there and get the job done, and it was very gratifying to see everything pan out in the end. After the U.S. Open, we flew down to Sacramento for a week to film the Senior U.S. Open. 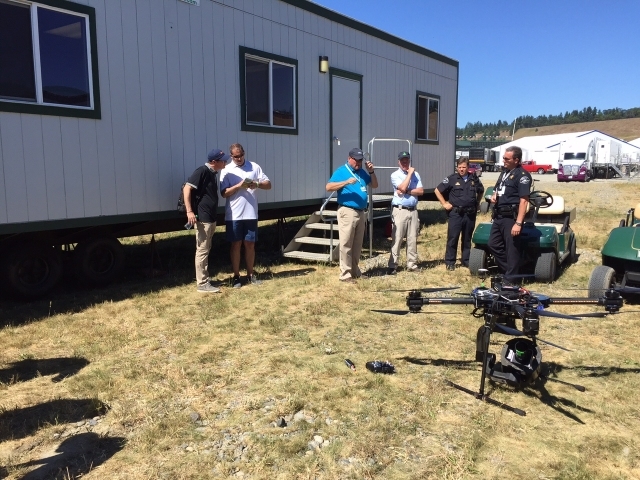 While we were at Chambers Bay, quite a few local news channels did stories on the drones flying at the Open. Here’s a link to one piece that aired CLICK HERE. Getting the big drone prepped and ready while the local police, FAA, and USGA officials look on. It took a lot of FAA paperwork and approvals to be allowed to fly at Chambers Bay. 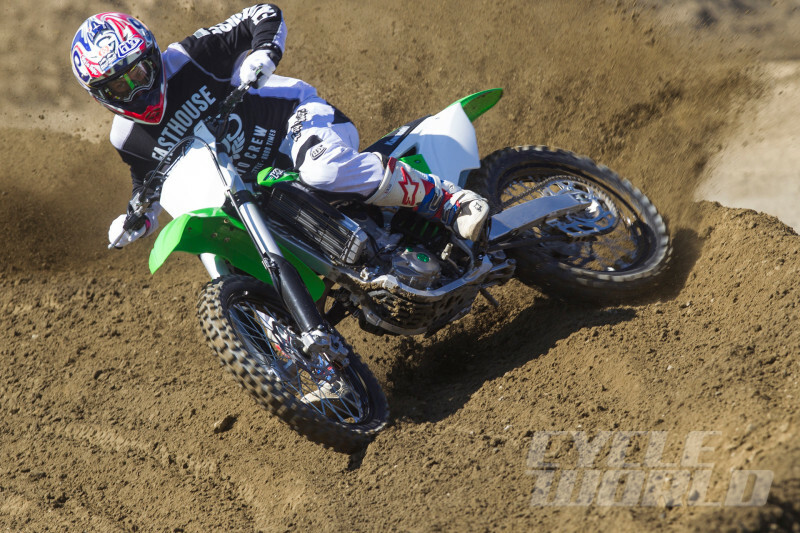 With one week off from golf, I booked a shoot with Dispatch Co. to cover a Michelin Tire intro at Cahuilla Creek MX. 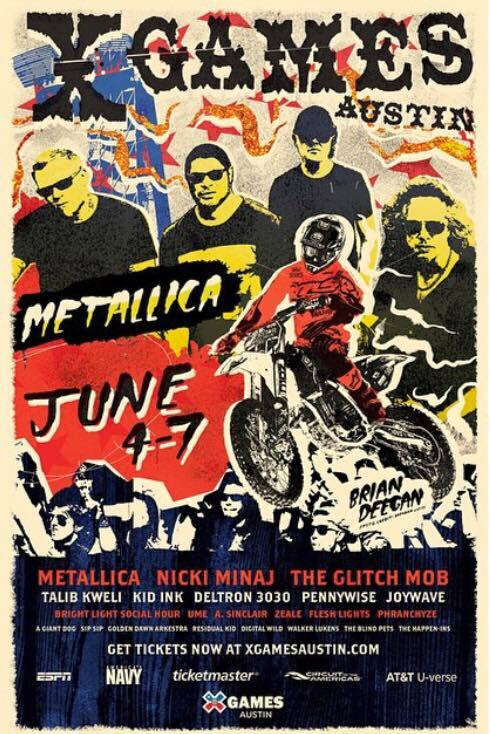 It was a blast shooting the event, and Travis Pastrana—a long-time Michelin rider—showed up and proceeded to pull a mini-flip off a small vertical cliff. It was also a lot of fun to see all my good friends from various magazines, and get a chance to be on the other side, covering an event while all the journalists try out the products. 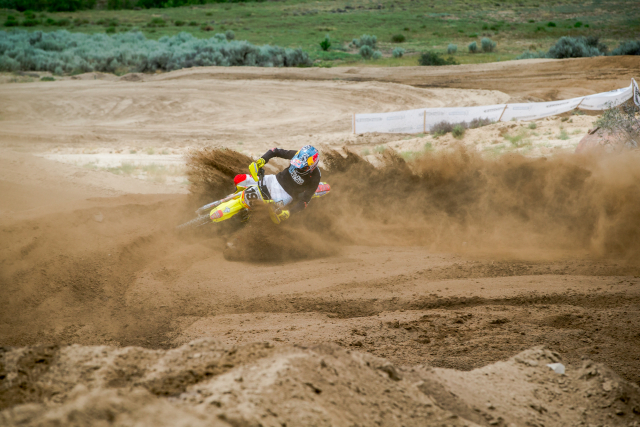 Travis Pastrana putting the new Michelin tires to the test. After a little rest, and a BBQ for the Fourth of July, it was back on the road to the Women’s U.S. Open of Golf in Lancaster, Pennsylvania, for more aerial filming for Fox Sports. The course was absolutely beautiful; we came away with some incredible shots, and most of our stuff was used during the live broadcast. And now, as I type this, I’m sitting in a hotel room in South Carolina for the Amateur Golf Championships where we are filming more aerials for the Fox Sports broadcast. Yes, it’s been hectic, but I wouldn’t change it for anything.